Is this what Motorola's foldable RAZR will look like? 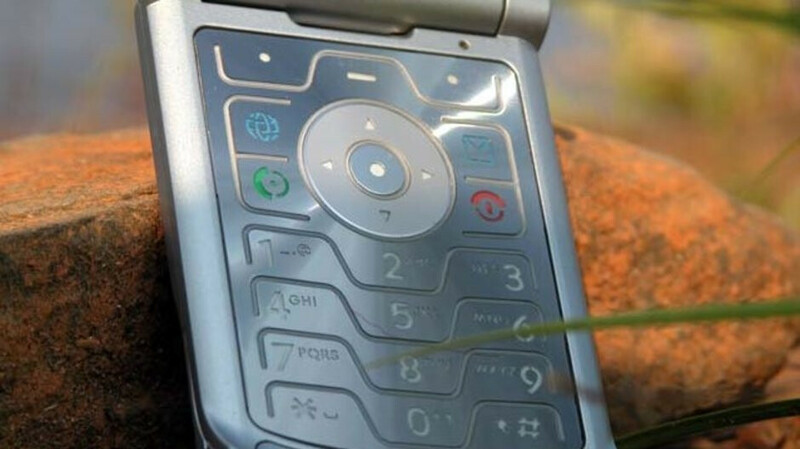 The Motorola RAZR’s return was first teased at last year’s MWC event by Lenovo’s CEO. Since then, there has been no official word on the matter but a recent report did hint at a return as Motorola’s first foldable device. Today, an unearthed patent appears to show what this new device could look like. Overall, it’s fair to say that the new device looks pretty similar to 2004’s Motorola RAZR V3, albeit with some rather drastic changes. Gone is the small screen and physical button layout found on the inside of the original and in its place is a much larger foldable display that stretches from top to bottom with no sign of a crease. 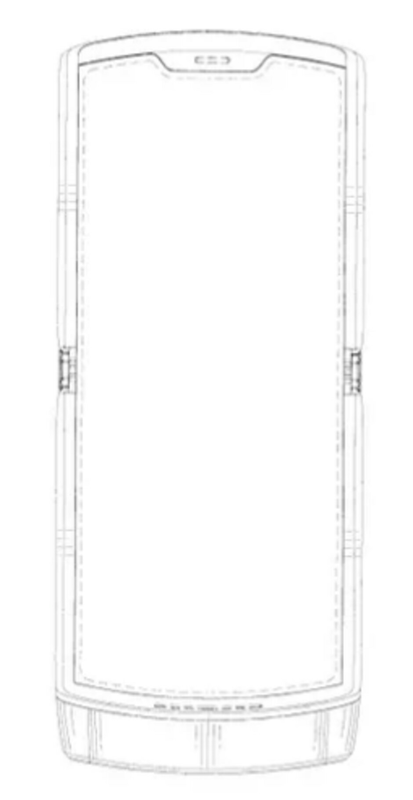 Unlike modern panels that tend to be rectangular, this one sports some rather unique angles and also sports a small notch which is home to the in-ear speaker. Additionally, the bottom bezel appears to house a large speaker. This would suggest that the two may work together as a stereo speaker layout. Taking a look at the device’s external area, the upper portion retains the original’s iconic secondary display and single-camera layout. When unfolded, this particular sensor can be used as the rear camera. However, users interested in taking selfies will presumably be able to use the sensor in combination with the secondary display by folding the device shut. There’s also a chance the final device could sport multiple cameras rather than just one in light of their recent popularity. Aside from the possible selfie capabilities, the smartphone’s secondary display should also give users easy access to notifications, messages, weather, and other useful information without needing to physically unfold the device. Moving on to the lower portion of the rear, this doesn’t include anything special other than the Motorola logo. This time around, though, the logo will presumably integrate a fingerprint scanner, a setup seen on some of the company’s most recent devices. This lower portion may also be home to the battery. But considering the limited amount of room, it’ll remain to be seen how Motorola handles the smartphone’s battery life. According to the recent report, Motorola’s next-gen RAZR will be available in very limited quantities via Verizon in the US. In fact, sources claim that just 200,000 units of the device will be produced. However, these will all be priced in the region of $1,500. Details about the new Motorola RAZR’s specifications remain largely unknown at the moment. But at its high price tag, it’s safe to assume Qualcomm’s Snapdragon 855 will be present alongside at least 8GB of RAM and 128GB of storage, although higher configurations are very likely. Similarly, if Motorola chooses to release the device in the first half of the year it should arrive with Android 9 Pie pre-installed. Alternatively, if a Q3 or Q4 announcement is on the cards Android 10 Q should be on board. The Motorola RAZR looks set to become one of the first foldable smartphones to make it to market. It’s worth noting, however, that it’ll face some pretty tough competition from the Samsung Galaxy Fold. This device will use a different foldable setup that gives users access to a 4.8-inch display when used as a typical smartphone and a much larger 7.3-inch panel if unfolded. It will arrive powered by the Snapdragon 855 and looks set to feature as much as 1TB of internal storage and 12GB of RAM. Alongside this device, further competition could come from the likes of LG and Huawei. Both of these brands are reportedly developing their own foldable alternatives which are slated to arrive during the second half of 2019. You didn't read the article? "According to the recent report, Motorola’s next-gen RAZR will be available in very limited quantities via Verizon in the US. In fact, sources claim that just 200,000 units of the device will be produced. However, these will all be priced in the region of $1,500." With 200,000 units i don't see them collecting much marketshare :) also who buy Motorola phones, i don't even understand what they are doing with this. I thought marketshare wasn’t important. Which way is it? Marketshare, or big profitz? I wish they can bring the Razr XT910 back to life, same design but with slimmer bezels and imo they'll have the best looking smartphone on the market. I like it. More pocketable and same 6-6.4 long screen when it's open like other phones. I mean design looks a bit odd, but I do like how you'd have the ability to protect your phone screen even more buy folding it shut. If Motorola releases this sometime in the next 12 months, they are officially back. I'd be seriously interested in pre-ordering one of these.